My NACo presidential initiative’s theme is “Brilliant Ideas at Work” because counties operate within ever-changing physical, social and economic environments, and county government leaders must anticipate, adapt and innovate to address complex challenges every day. To help America’s county leaders foster this spirit of innovation, we’re proud to announce the launch of the NACo Counties Futures Lab. The Counties Futures Lab will build on the NACo Research Department’s existing products to explore the evolving fiscal, economic, political and policy issues that shape the future of county government. The Counties Futures Lab, grounded in analytics, data and knowledge-sharing, will focus on critical county governance and management issues to position county leaders for success. 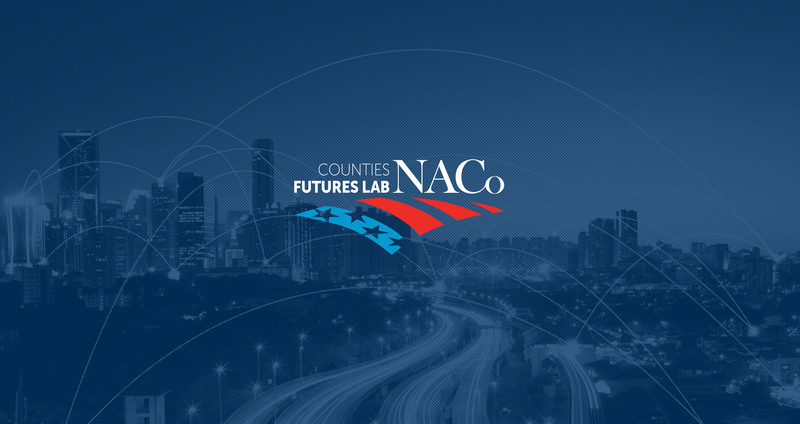 The Counties Futures Lab will combine NACo’s ground-breaking data analysis with the insights of leading national experts to examine and forecast the trends, innovations and promises of county government. From the same team that maintains the interactive County Explorer tool and produces NACo’s annual County Economies report, will come forums in partnership with corporate, academic and philanthropic thought-leaders. Through these events, the Counties Futures Lab will lead the discussion of how we can best serve our residents’ needs, highlighting the brilliant ideas we’ve implemented in our counties. County governments are a national network responsible for 3.6 million employees and public-sector investments totaling nearly $560 billion each year. As such, we are key players in providing the fundamental building blocks for healthy, safe and vibrant communities. The NACo Counties Futures Lab recognizes our immense responsibilities and seeks to empower county officials with new tools and insights to serve our diverse communities across the country. The NACo Counties Futures Lab will spotlight innovation today that positions us to continue to thrive in the future. In addition to being a NACo officer, Desloge holds several positions within the organization including his membership on the Health Steering Committee, Financial Services Corporation Board of Directors and the Next Generation NACo Network. PFAS, chemical byproducts of some consumer goods and firefighting foam are contaminating drinking water, with hazardous but unknown consequences. Each person in the United States will toss out an average of 102 tons of garbage in their lifetime, according to author Edward Humes, whose book Garbology: Our Dirty Love Affair with Trash digs into the topic. That works out to a little more than seven pounds per person per day. Counties are in a unique position to help reduce the soft costs and “red tape” and streamline solar onboarding through the county permitting and inspections process. NACo STAFF Timothy McCue is NACo’s new associate program director for health. He was most recently director of grant programs at the Potomac Health Foundation. He earned a Master of Public Health degree from Case Western Reserve University and a B.A. from Hiram College. (L-r) Kris Knochelmann, Kenton County; James Carroll, Office of National Drug Control Policy; Sen. Mitch McConnell (R-Ky.); Gary Moore, Boone County; Steve Pendry, Campbell County and Matt Chase, NACo, pause for a photo during a tour of the Kenton County, Ky. Detention Center. NACo Officers Second Vice President Gary Moore and Executive Director Matt Chase toured the Kenton County, Ky. Detention Center March 18, along with Senate Majority Leader Mitch McConnell (R-Ky.) and Office of National Drug Control Policy Director Jim Carroll. This week's video includes a government funding deal that would lift spending caps and keep the appropriations process moving, debate on a disaster bill in the Senate, a bill funding Medicaid programs important to counties and more. National County Government Month (NCGM), held each April, is an annual celebration of county government. NCGM’s 2019 theme is “Connecting the Unconnected,” which is consistent with NACo President Greg Cox’s initiative and focuses on how counties deliver “people-centered” services to their residents. This week's video includes the 2019 NACo Legislative Conference and Capitol Hill briefings, infrastructure, H.R. 1 and more.